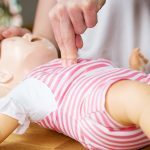 CPR/First Aid trainings are open to providers 18 years and older working in child care settings in Carroll, DeKalb, Lee, McHenry, Ogle and Whiteside counties. Fee: Training fee is waived for providers caring for families on the 4-C CCAP caseload or working in a child care center serving CCAP families in Carroll, Dekalb, Lee, McHenry, Ogle, or Whiteside counties. Providers not being paid by CCAP are required to pay the $20 fee and have a current 4-C membership. Reimbursement is available for providers taking CPR/First Aid outside of 4-C.